There’s a lot to choose from! There’s a lot more to Gdansk than just lying on the beach – you can explore seaside parks, sail in a ship, paddle a kayak, let loose on the playground with the kids, and even take a bike ride along the bay. Holidays are the perfect occasion to spend as much time as possible outdoors. So leave your computers, tablets and smartphones at home and take a deep breath of fresh sea air. In Gdansk we have an abundance of outdoor attractions for the whole family. There’s nothing like the beach! Just about everyone loves the sand and the water, so you have to start with some time on the beach. Throughout the summer, you can choose among eight different public beaches, with lifeguards on duty from 9:30 am to 5:30 pm. Lifeguards keep watch over the Jelitkowo, Jelitkowo Klipper, Brzezno Pier, Brzezno Spa, Stogi, Sobieszewo, Orle beaches, as well as the newly-opened Swibno beach. Six of these beaches boast an International Blue Flag certification, meaning that they meet the highest standards of quality and safety. 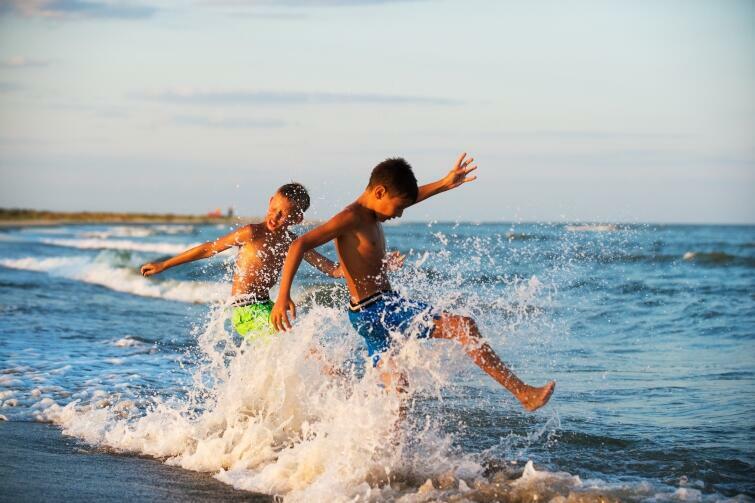 At each beach you can easily rent beach chairs and screens, use the restrooms, and find plenty of options for snacks and drinks. When in Brzezno, be sure to have a go on the new playground, located in the beach to the left of entrance number 51. It is designed to look like the General Zaruski, a legendary Gdansk ship. 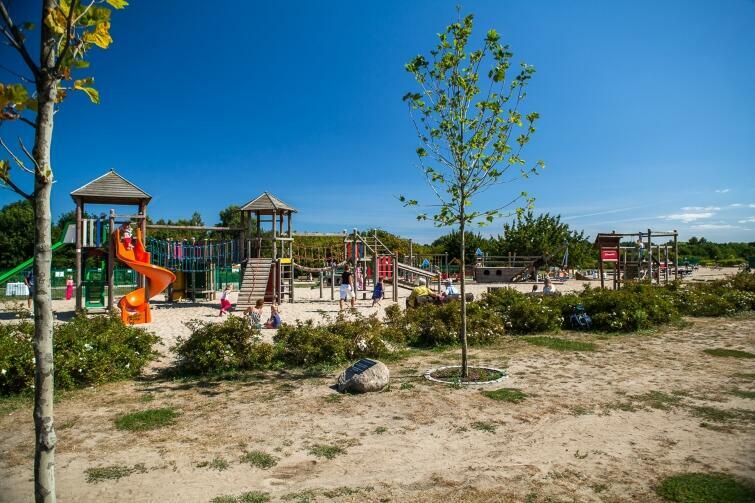 Beachside playgrounds are also available at Stogi (at entrance number 26), near the pier in Brzezno (next to Peperino Restaurant, at the end of Haller Street), as well as in Ronald Reagan Park. The playground in Ronald Reagan park will probably interest children the most. The park stretches form Piastowska Street in Jelitkowo to Haller Avenue in Brzezno. It’s a huge area, located right next to the sea. There you and your kids can feed the ducks (there are two ponds), have a picnic on the grass, play some ball, have a walk, go cycling or roller blading, and of course have fun on the playground. 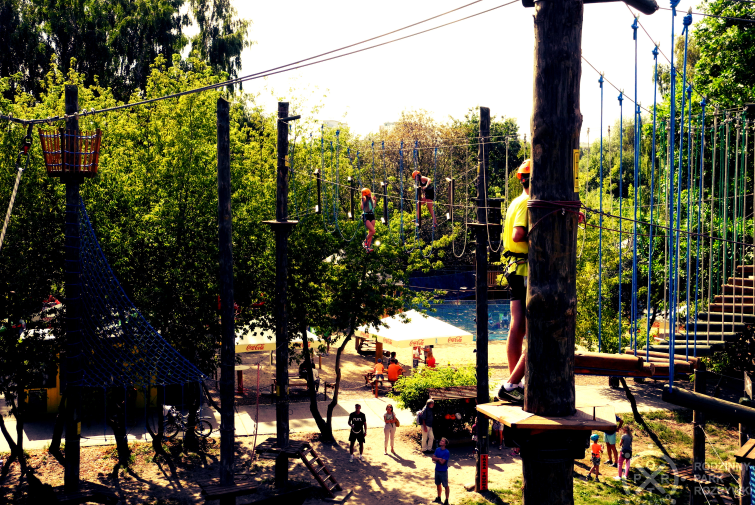 The largest playground, called Play Land, located at Dabrowszczakow Street, has proven a real hit among children. In Gdansk, however, there are many more parks worth visiting. Thanks to its playground, children particularly like the small Park on the Strzyza (located at Wyspianskiego Street in the Wrzeszcz district). If your children like to hike, pack some snacks and head to the Tricity Landscape Park. First, you can climb up Pacholek, a 100.8-metre hill towering over Old Oliwa with a 15-metre observation tower. From the summit, you can enjoy a stunning panoramic view of the city, including waters of Gdansk Bay. Jan Jerzy Haffner Park in Brzezno and Jelitkowo Park are also attractive seaside parks. Oliwa Park, a true oasis of greenery and tranquillity hidden behind the high hedge, is also a must-visit. Walk down charming paths, visit the Botanical Garden, and whisper to each other in the Whispering Grotto. Every Saturday at noon during the summer season, there are free concerts as part of the "Music in the Gazebo" series, organised by the Polish Chamber Choir. In turn, at the end of August, you can’t miss the events taking place in Oliwa Park as part of the Mozartiana International Mozart Festival (August 20-28). For those seeking physical activity, we recommend the Port Brzezno Rope Park, located exactly three minutes’ walk from the pier. For children there’s a Bouncy Zone (for ages 3 to 10) and a Mini Rope Park (for ages 3 to 13). For those more skilled at climbing, we recommend the classic Rope Park. There are three routes – easy, medium and hard – depending your size, courage and skill. When the weather is nice, it’s worth taking a bike ride around Gdansk. For families with children, we especially recommend the path running along the beaches from Gdansk to Sopot. In case you get tired, there are plenty of places to rest and recharge your batteries. You can rent a bike with a child seat or trailer at Alfa Bikes. A visit to the Oliwa Zoo is an ideal option for spending time in the fresh air. It’s quite large, so leave at least three hours to see everything. If you have small children, you may find it useful to rent a wooden wagon, available near the main entrance for a small fee. Riding in it will certainly be a lot of fun for the kids, and you can save a lot of unnecessary trouble. Another option to improve the comfort of your tour is the Little Old Train, which takes visitors along one of three chosen routes. 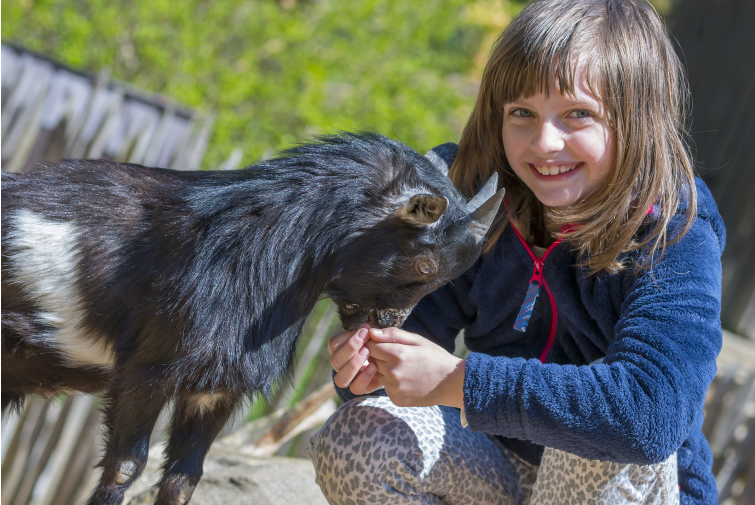 At the end of your visit, be sure to have a picnic and stop at the Mini Zoo to feed tasty green leaves to the sheep and goats. As Gdansk is a typical seaside town, we suggest you spend as much time as possible on the water. There is plenty to choose from! For families with children, we recommend the cruises offered by Gdansk Sailing. Among the shorter trips available from Gdansk is a cruise to Westerplatte (50 minutes, with a tour of the port) or to Sopot (1 hour). For a longer trip, the voyage across Gdansk Bay to Hel takes 1 hour and 50 minutes. There, in addition to the wide, heavenly beaches, you can visit the seal sanctuary and get a fantastic view from the lighthouse. 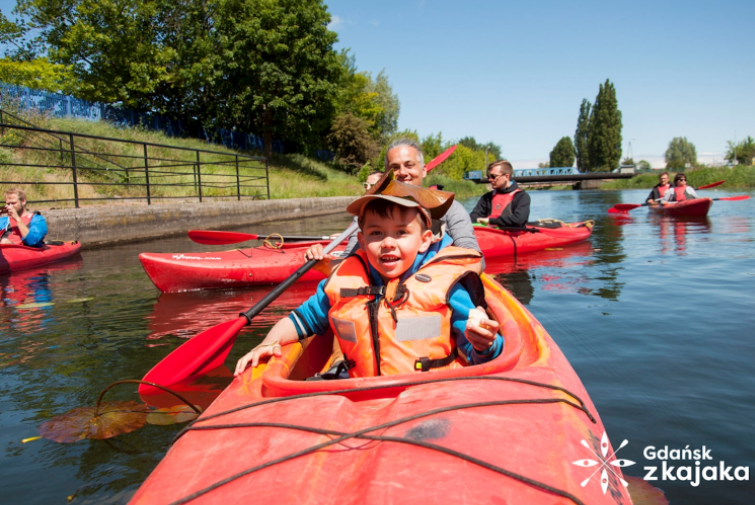 For some fun for both children and their parents, you can explore Gdansk by kayak. Rent a kayak and paddle yourself along the Motlawa, or join an organised tour. You’ll have several routes to choose from, including a trip to Sobieszewska Island, an excursion to Wisloujscie Fortress, or a relaxing trip in the glow of the setting sun. For an expedition to the sea, you can choose the Black Pearl or the Lion Galleon, two ships built to look like galleons. You’ll depart from the landing located on the Long Quay, not far from the Green Gate. It’s worth taking advantage of the good weather for a walk along the streets of the Old Town. Start your tour at the Golden Gate and continue straight in the direction of the Green Gate. Along the way you, you’ll see the beautiful Gdansk townhouses, Uphagen’s House, the Gdansk History Museum, the Artus Court and the Neptune Fountain. In fact, you’ll be walking along what’s called the Royal Route. Once you pass the Green Gate, you can continue walking along the Motlawa river, hop on a boat, or see the city from AmberSky, a 50-metre-high observation wheel located on Granary Island, from which you can enjoy a panoramic view of the historic city centre, the amber-coloured stadium, and the shipyard with its historic cranes. A ride takes about 15 minutes. When exploring the main town, you can also take a stroll down Mariacka street – undoubtedly one of the most charming streets in Gdansk – and have a look inside St. Mary’s Church. 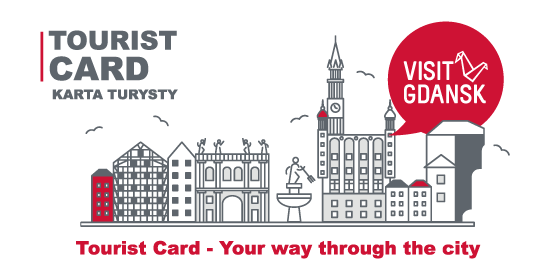 If you plan to visit a lot of attractions, the most convenient and economical solution is to get a Gdansk Tourist Card. As the name suggests, it is designed to address the needs of tourists visiting our city, and includes a bundle of special offers and free admissions to museums, cultural and entertainment facilities, and restaurants. You can use the card to top up your metropolitan ticket and use public transport across the Tricity. The Tourist Card is available in 3 variants: “Transportation”. “Sightseeing”, and “Family & Fun”. The family package grants you free entry to 12 attractions, and discounts at 21 sightseeing hotspots, entertainment venues, as well as 15 restaurants and cafés. The accommodation options available in Gdansk are yet another factor that makes the city an excellent destination for family weekends. Some of the hotels recommended by families include Kozi Grod, the Golden Tulip Gdansk Residence, Dwor Oliwski Hotel, Mercure Gdansk Posejdon and the Amber Hotel. Finding restaurants with a kids' menu should not be a problem, either. Check out "where to stay" and "taste Gdansk". Just to be on the safe side be sure to ask if the place where you are staying has amenities for children. Also, make sure that it is recommended as a Family Friendly Hotel. You might want to check out testimonials from customers, on TripAdvisor for example.